Birth Positions – Which One Does What? Spinning Babies® has introduced a new way of choosing birth positions to a wider reach of pregnant parents and the birth care providers who serve them. All-fours (hands-and-knees, or knee-elbow as shown below) has been a favorite position in the natural birth world. Today German researchers include an all-fours position for safer vaginal breech birth. Traditional midwives around the world have known this position to make room for the large baby or to help a midwife do hand maneuvers to release a baby that is stuck, whether breech or head down. We want to refine the use of birth positions and understand the when and why to use this and other positions to ease pain, overcome labor stalls, and shorten labor. Both a Posterior Pelvic Tilt and Walcher’s are positions that open the top. The first is easy and can be done in any other position, standing, all-fours, even lying down. The second, Walcher’s, hyperextends the legs and can be quite uncomfortable for many, though quite effective to engage a baby who remains high with strong contractions (contractions are what engage baby, the position allows the room to engage). My favorite is the Abdominal Lift and Tuck. The squats and lunges so commonly recommended for opening the pelvis, in general, are quite appropriate for the baby who is already deeply engaged or even slightly or more visible. Squatting opens the outlet of the pelvis. – 2am yesterday the mom’s water broke, no contractions yet. – 2pm yesterday afternoon, the leaking fluid became yellowish green. – 3pm the Mom went to the hospital. – 9pm she was checked. At that point she was 0,0% and -3 and an extremely posterior baby with contractions 12-15 minutes apart. 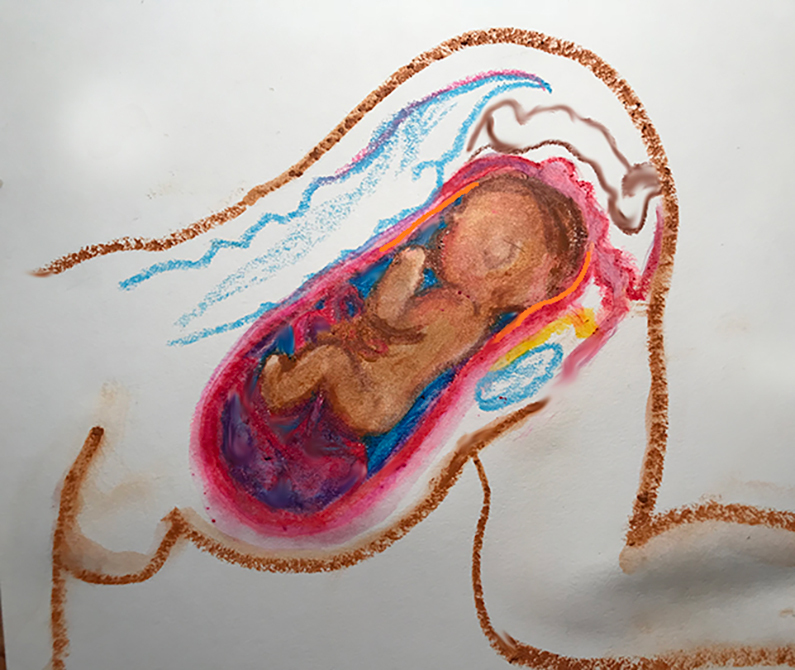 – Because she [had a cesarean for a previous baby], the doctor didn’t want to risk doing anything medically to strengthen labor [Using artificial oxytocin increases the chance of a tearing open the uterine scar and risking the lives of mother and baby]. – No progress all night. – 6am this morning she was checked again and was 4 cm dilated,50% -3. 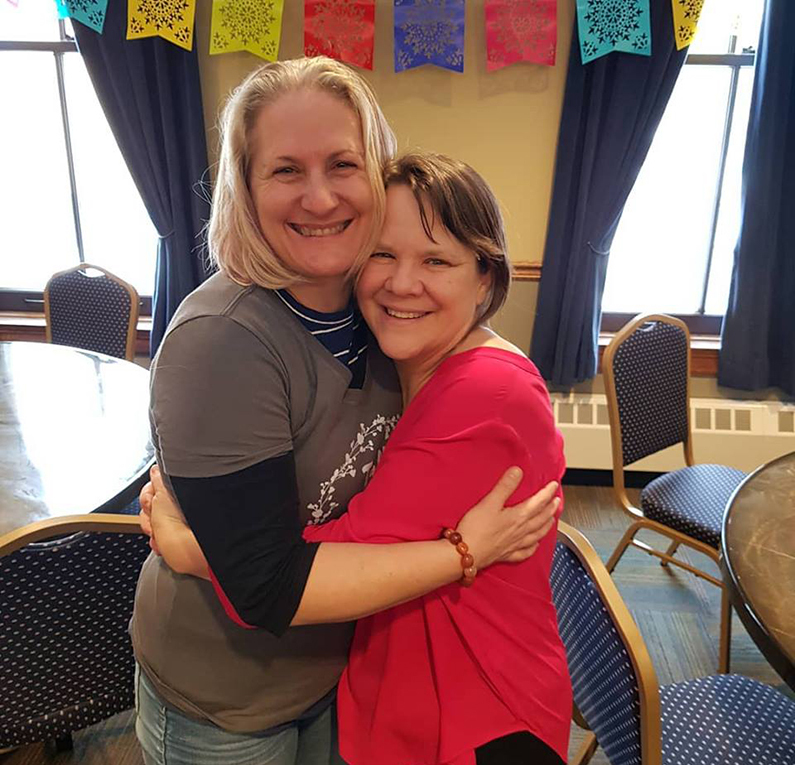 – I spent 15 minutes with my Rebozo shaking the apple tree (jiggling the buttocks with the Rebozo scarf held snuggly across the back side of the hips on the buttocks). Do You Have a Spinning Babies® Story to Share? Send it to us at info@SpinningBabies.com. What’s New with Spinning Babies®? ACTIVE PATIENCE – SIAParto-Spinning Babies® 2018 World Conference in São Paulo, Brazil! September 4 – 9. Gail Tully is offering FIVE workshops (three options) in Tacoma, Washington this October! Presented by MultiCare Childbirth and Family Education. Saturday, October 6th – Labor In-Depth with Spinning Babies® – 8-Hours. Location: Tacoma General Hospital, Jackson Hall 8:00 AM- 5:00 PM. Open to: Midwives, Labor & Delivery Nurses, OBs, Physicians. Sunday, Oct. 7th – Morning Class – Resolving Fetal Malposition in Labor With Spinning Babies® – 4-Hours. Location: Tacoma General Hospital, Jackson Hall 9:00 AM-1:00 PM. Open to: Labor & Delivery Nurses, Midwives, OBs, Physicians. Sunday, Oct. 7th Afternoon Class – Resolving Fetal Malposition in Labor With Spinning Babies® – 4-hours. Location: Tacoma General Hospital, Jackson Hall Select -1:30-5:30 PM. Open to: Labor & Delivery Nurses, Midwives, OBs, Physicians. As Gail leaves Washington, October will begin our tour of Spinning Babies® Workshops in Australia and New Zealand! Amaris serves families in the Sioux City, IA and nearby areas with evidence-based and holistic private and group childbirth education classes, group and private Spinning Babies® Parent Classes, virtual birth coaching, private lactation support in the home and via video, doula services, postpartum support, herbal education, and photography! She also trains local doulas and manages a doula program. She has completed many certifications and has been trained to offer families support during the entire journey of parenthood, from pregnancy to newborn care. Amaris is very compassionate in all situations and loves helping families trust in the amazing, natural design of the human body and help them to have enjoyable, healthy pregnancy and birth experiences. 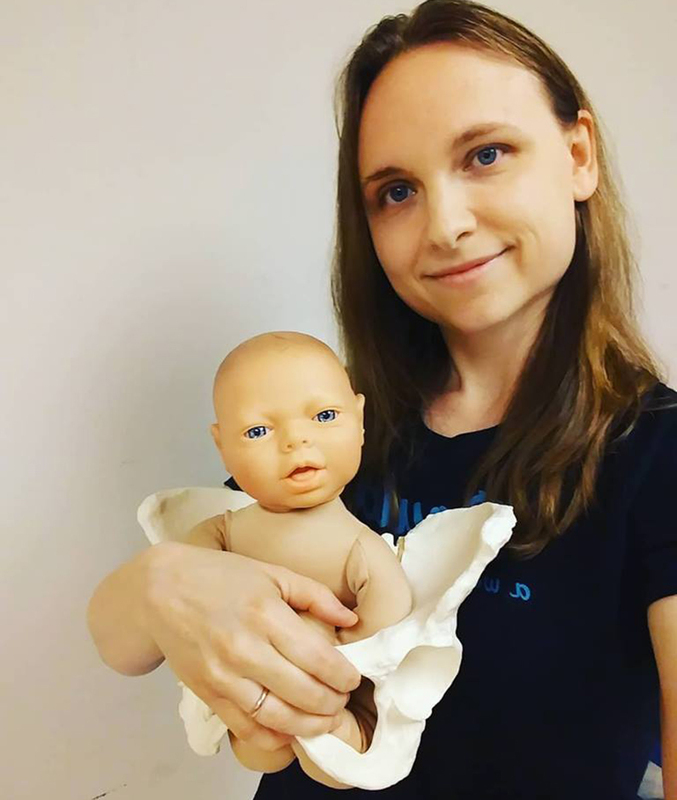 She has both used and seen the Spinning Babies exercises help many women to have improved birth experiences and is pleased to be the first in Iowa to be certified to teach the parent classes! Sometimes described as having a calming and quiet presence, Amaris is also said to be very passionate about all that she does, always willing to take the extra time to find answers or be a listening ear for families, and advocates for informed decision making by the parents through the entire birth process. Trudy is leading the way as the only Spinning Babies® Certified Parent Educator in Australia. Trudy offers so much to our pregnant community in Australia and is a very sought after educator. Some of her offerings are Pregnancy Yoga where you will learn some amazing movement and breathe techniques to use during labour and birth. Child Birth Education in the way of Spinning Babies® Parent Class, Active Birth and Relaxed Birth (combing Yoga and Child Birth Education is amazing!). Leading the way as the only Birth Doula in Australia with these above qualifications, Trudy brings this all together to make you more comfortable during pregnancy and using Spinning Babies techniques during labour to help to bring ‘better birth on earth’. 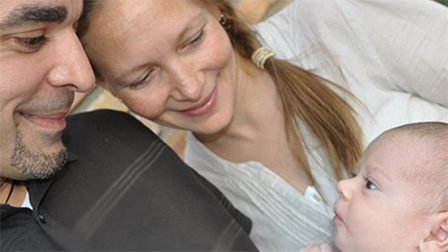 You can find a full list of our Spinning Babies® Certified Parent Educators here.